What’s on his mind? - Joakim A. With spring on its way we got a bit surprised when it started snowing Saturday morning. Ismo took the opportunity to sit and look out the window for a while. I wonder what he is thinking about. Did he see a bird in the tree? 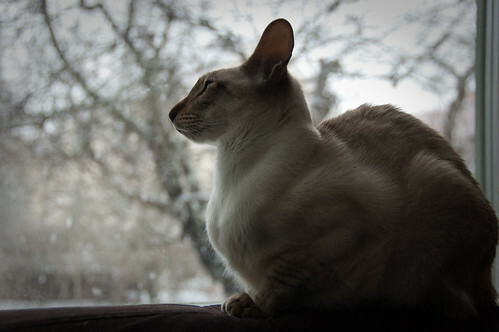 Or is he just admiring the beautiful snowfall? Would he like to be outside or is he perfectly fine indoors with the radiator beneath him sending lots of warm air his way?